Apple is holding its annual September product launch event on Wednesday, Sept. 7 to likely show off its next-generation iPhone. 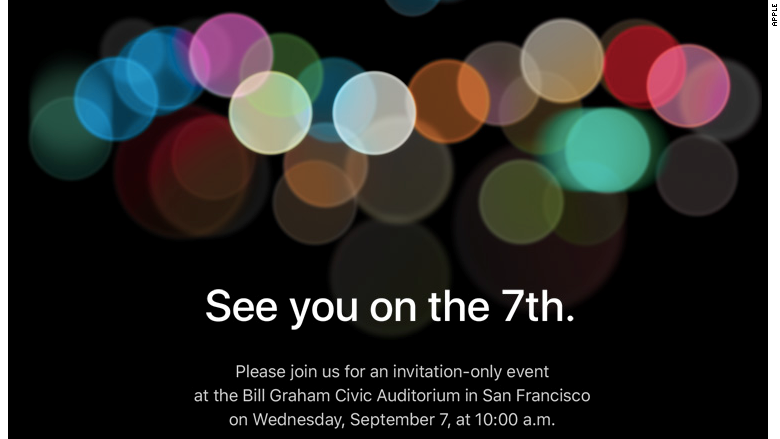 The company, which sent out invitations to members of the press on Monday, is expected to unveil the rumored iPhone 7. The affair kicks off at 10:00 a.m. PT at the Bill Graham Civic Auditorium in San Francisco. In addition to a new iPhone, Tim Cook and his parade of executives will likely announce the official release dates for iOS 10, as well as the new macOS Sierra, watchOS 3, and tvOS 10 operating systems. We could also see a new version of the 15-month old Apple Watch and updated MacBook Pros. Apple's invitation lacks the usual tag line, which usually gives some vague hint as to the topic, or even just a sense of excitement. Instead, it says "See you on the 7th," without so much as an exclamation mark. The background is black with a smattering of generic blurry lights -- a possible nod to rumors the iPhone may get an improved camera with a dual-lens system. Other rumors include a missing headphone jack -- you'll need special headphones that plug into the Lightning port -- and a new blue color option. 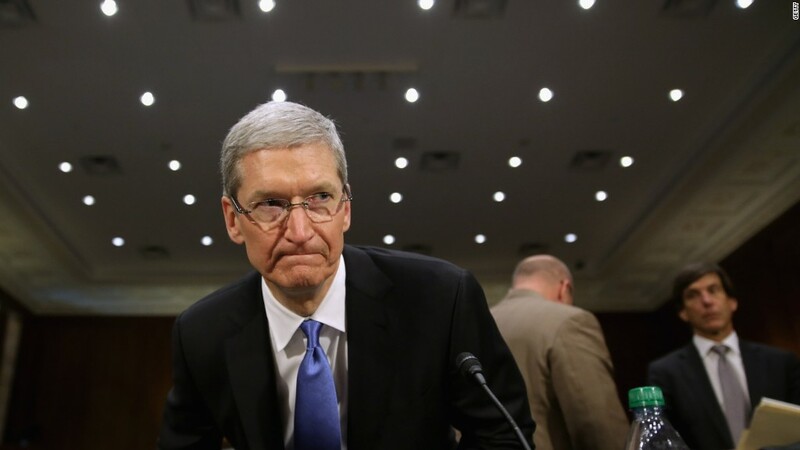 Apple typically holds one of its signature events every September, and they follow a predictable script. We will be there sharing the news as it happens, hoping for any exciting departure from the usual, so stay tuned!